Howdy, gaming lovelies! It’s been a busy week for game news with more to come. Let’s jump right in and take a look-see. In the wake of this weekend’s events, my heart wasn’t into watching the play-by-play of E3 (Electronic Entertainment Expo) major announcements. If you’re new to watching the buzz, it can be overwhelming to find info on the games you care about. Thankfully, there are some great resources to skim through and pick the news you want. Also of note is this diversity report on the major publishers’ big press events. Jordan Erica Webber over at The Guardian rated each presentation based on their presenters, character diversity, the Bechdel test and more. 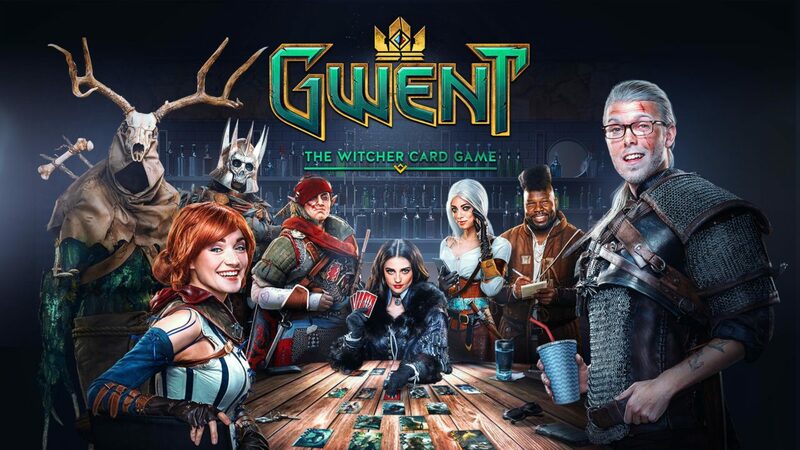 The Witcher fans might recognize the title, but GWENT is getting it’s own standalone game. This game-within-a-game-becomes-a-game boasts a quick learning curve; the website claims you can learn to play in 15 minutes. Traditional card game elements appear to be at play – choose a faction, each faction has different abilities, do some deck-building, have some battles. BETA signups are now open, if you want to try your hand at early access. Cosplay bonus points for watching the game trailer. Pandora’s Books is a puzzle game where players unscramble words to to defend the cities in classic books. The hook? The words are from classic books, some dating from the 1800s. This will be the first game from Smithsoft Games, a small Australian with a mainly female team. If you want to be supportive and check out the game, it looks like their BETA form (from late April) is still active. Otherwise, the game is anticipated to be release this August. This one is just for fun. It’s been a rough week for folks and I thought some cute pixelated cats might be in order. This game recently hit Steam Greenlight and looks to be a sweet little puzzler. 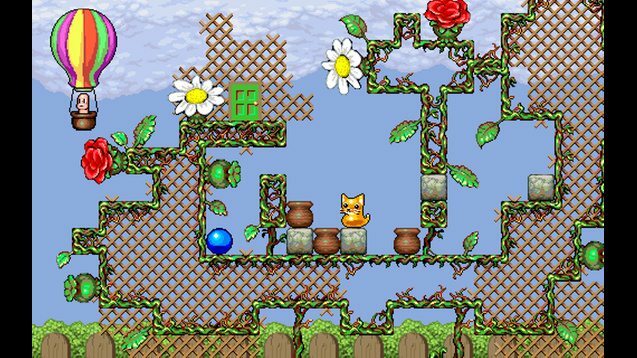 Apparently, a different Kitty Kitty Boing Boing game was release on Steam in March, so a name change might be in order. If you need immediate cat satisfaction, that one appears to be cute in a peppier sort of way. As part of the EA Play kick-off, the company decided to create the Play to Give program. When players complete in-game challenges, the company will donate a total of up to $1 million to five companies focusing on inclusion in the gaming space, Code.org, Code2040, HeForShe, National Center for Women & Information Technology and SpecialEffect. Although the main weekend is over, there are still a few days left to complete challenges. Tumblr artist Lillu created this great set of Overwatch heroes drawn as cats. I know, I know, I’m all about the cats today. I’m just trying to cheer us up a bit. Be sure to check out the link to find your favorites. That’s it for this week. Just a reminder that I’ll be at Origins this week. If you see me, be sure to say hello! Until next week, happy gaming!